Have you recently witnessed a flood in your area? Or have your sewage pipes suddenly burst? Then, your house must be completely water-logged. You should not take this kind of damages lightly. You must immediately get some professional help and get rid of the water accumulated in your house, damaging your furniture, electronics, and other important valuables. Moreover, you should understand that standing water can also cause major electrical accidents that can also prove to be fatal at times. We, at A-Emergency Services & Restoration, can provide you with water extraction, water removal, mold remediation, de-humidification, stain removal, and other essential services of water damage clean up. 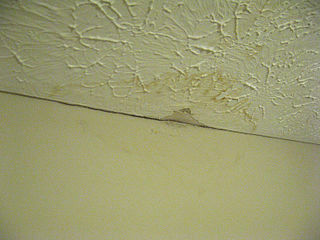 We have the right technology and professionals to help you get rid of the water damaging your property. We are known for our prompt response, 24×7 emergency service for 365 days a year, and an efficient service. So, if you live in and around areas like Evanston, Glenview, Mt Prospect, Northbrook, Northfield, or Park Ridge IL, you must resort to us immediately. Here, we have gathered a few factors to check about a company offering such water damage clean up and removal services. Take a look. You must know that removing the water accumulated owing to a flood or any other accident can be quite a mammoth and extremely challenging task. Therefore, you need professionals who have the right equipment and technology to carry out the water removal process successfully. Sometimes, water can get accumulated in certain hidden parts of the house such as behind the cabinets, under the flooring, or in the walls which can give rise to mold growth, leading to further damage to the house inmates and the foundation of the house. So, you need the sort of dedication to remove the water and make the house moisture-free from its every nook and corner and leaving no chances of such mold and mildew growth. If you think we can be the right choice for you, then quickly get in touch with us today.